A newborn baby girl found buried alive in a field was rescued by villagers in Anjira village of Jajpur district, India, last Saturday, the New Indian Express reports. The baby had been buried in a field in a hamlet named Shyamsundarpur. Villagers came to her rescue after a passing schoolgirl raised the alarm, having spotted her feet moving above the earth. They dug her out and, finding she was still breathing, passed her over to a community health activist from the Asha group. 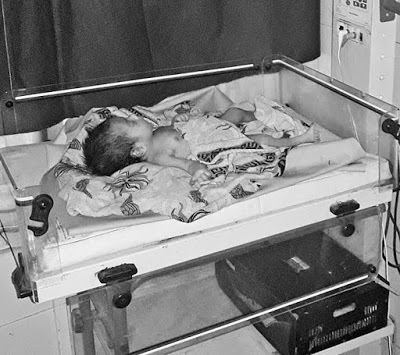 The baby was rushed to the Dharmasala Community Health Centre, and later transported to the Dharmasala government hospital. It is believed she was born between four and six hours prior to being discovered. "We are trying to track the parents of the girl," he said. "Chances are it was a case of female foeticide and it is clear whoever buried the baby wanted her dead"